New York, New York ”“Fall 2013 – Perfect for cozy Winter evenings or sophisticated Spring gatherings, Volcanica Candles offers their remarkably decorative eco-friendly candles; sculpted in Bali each one is a unique work of art. A lovely enhancement no matter what the season, artisan-made Volcanica candles are inspired by the beautiful, exotic tradition of Balinese wood carving. They are the only candle to specifically render the classic Balinese patterns in wax. Fabricated from only natural ingredients, indigenous to Bali, pure waxes from bees and palm trees, these candles are an accessibly luxurious way to add a touch of glamour to any occasion. 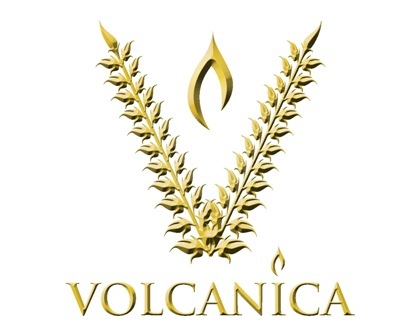 These sophisticated, luxurious candles are available at www.volcanicacandles.com. With more than 200 styles to choose from, there is something perfect for every interior. From tapers which can enhance a dinner table at any time of the year to traditional pillars, a wonderful choice for a centerpiece ”“ and more ”“ there is an exceptional range of looks, shapes and sizes to choose from. Each exquisitely sculpted exterior glows without melting as Volcanica candles burn at the core to create luminaries. Each candle lasts for hours and hours. Although many are aromatherapy, all are outstanding objects of beauty. The heart of Volcanica centers around the people behind the candles, the artists whose designs take from age old craftsmanship, and the place that defines them. Made in Ubud, the cultural and artistic center in the middle of the Island of Bali and named for the Volcanoes nearby, they are designed to relax, release, and exhilarate the soul. Volcanica Candles may be purchased at www.volcanicacandles.com. Suggested retail prices range from $12.00 to $118.00. The collections include 221 eco-friendly styles that burn without soot or smoke in materials including their proprietary blend of wax as well as wood, metal and glass. All aromatherapy candle essences are made from pure essential oils.